In February, PS9’s parent-teacher organization voted to rename itself in honor of Sarah Smith Garnet. On April 4, the Department of Education approved the change. At the time when slavery was legal, Garnet became the first African American woman principal in New York. 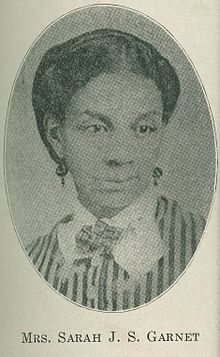 She also co-founded the first African American women's suffrage club. which met locally at 405 Carlton Avenue. Beginning July 1, PS9 will be known as the Sarah Smith Garnet School. More information about Sarah Smith Garnet is available here. Brooklyn Workforce Innovations is accepting applications for its Brooklyn Networks Cable Training and Employment program. Learn a skilled trade and find employment in the field of cable installation. Students receive an OSHA 30 Credential and an international cable certification BICSI. Classes are FREE and held at New York City College of Technology, CUNY. Support available for English Language Learners. Wednesday March 13, 2019 at 2:00 p.m.
Tuesday March 19, 2019 at 10:00 a.m.
Wednesday March 20, 2019 at 2:00 p.m.
Friday March 22, 2019 at 10:00 a.m.
BWI staff are available to meet one on one to discuss the program in more depth. For more information, see https://bwiny.org/brooklyn-networks/apply/. Lottery registration is now open for 40 newly constructed one- and two-bedroom apartments at The Olmstead, 564 St. John's Place, between Classon Avenue and Franklin Avenue. Interested individuals may register for the lottery online using HPD's Housing Connect web site. Applicants must have household income between $37,029 and $62,580, and must register before July 24, 2018. Amenities include a part-time attended lobby, rooftop terrace, playroom, and pet room. Indoor parking, storage, bicycle storage, a business lounge, library, private party room, fitness center, and yoga room are available at additional charge. Residents of Brooklyn community district 8, which includes all of Prospect Heights, receive preference for 50% iof the building's affordable apartments. See HPD's information sheet for complete information on the 564 St. John's Place lottery. 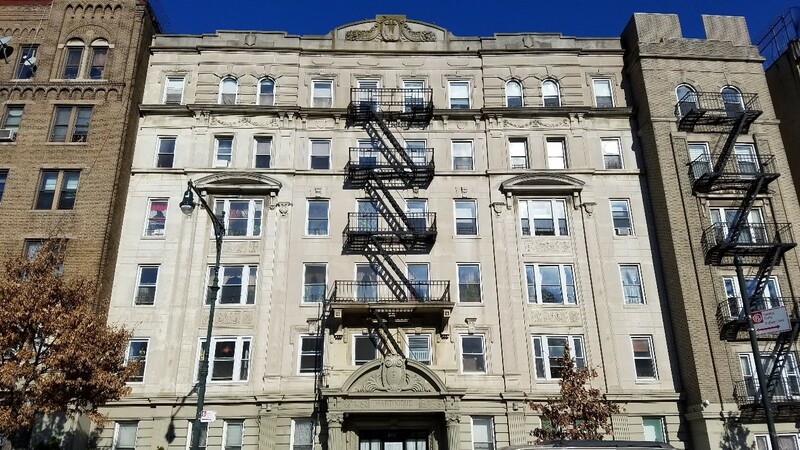 16 renovated 1-, 2- and 4-bedroom units are available at 802 and 840 Washington Avenue, as well as other HPD properties in Clinton Hill, Flatbush, Williamsburg and Bushwick. Registration is available through Housing Connect. Applicants must have household income between $29,143 and $82,620, and must register before June 22, 2018. See HPD's information sheet for more information. As the holiday season draws to a close, environmentally-conscious neighbors may be interested in two City programs to help residents dispose of their Christmas trees. The New York City Department of Sanitation will begin its annual Christmas tree curbside collection on Tuesday, January 2 and will run through Saturday, January 13, 2018, weather permitting. Those wishing to dispose of mostly plastic and metal imitation Christmas trees should remove all ornaments and put them out next to your recycling on regular recycling days. NYC Parks provides additional options for tree-cycling via their annual MulchFest event which will be held on Saturday, January 6 and Sunday, January 7 from 10 a.m. to 2 p.m.at locations across the city. (The location closest to Prospect Heights will be at 3rd Street and Prospect Park West.) Participants may bring a bag to take home mulch for use in personal gardens. To see all chipping and drop-off sites, click here. Remember to remove all lights, ornaments, decorations and netting from trees before attending the events.